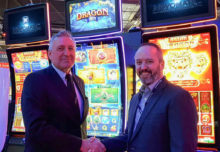 Win Systems, the leading technology supplier for the gaming and entertainment industry, announced the first installation of its Gold Club Chinese Roulette in the renowned Casinò di Venezia in the famous Italian destination. The innovative Chinese Roulette is one of the latest product launches from the supplier. The bet table features the usual 36 numbers plus zero, but is laid out as a figure of eight, referencing Chinese culture’s mystical relationship with the number. Players will also be able to bet on alternative sets of numbers based on the Chinese zodiac, as well as wider sets based on the four basic elements (Wood, Fire, Metal and Water) among other bet options. Another unique feature for Chinese roulette is the Zero 50/50 protection game. This sees a card dealt when the ball lands on zero, with players recovering their bets if the value is higher than an eight and losing if lower. 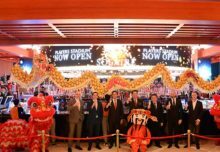 Casinò di Venezia reinforces its strategic commitment for an innovative playing offer with the installation of the Gold Club Chinese Roulette. 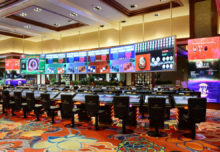 Casinò di Venezia is organizing a set of activities to present the new Chinese Roulette for the weekend of 12 to 13 July, in the venue of Ca’ Noghera.